Today we’d like to introduce you to Aya-Nikole Cook. Thanks for sharing your story with us Aya-Nikole. So, let’s start at the beginning and we can move on from there. I was born into a Buddhist family, on the south side of Chicago. My family shared a devout faith and practice that helped develop my spiritual awareness early in life. I enjoyed studying myself through the practice of Buddhism and I was empowered by an understanding that I (and all beings) possess the ability to “change poison into medicine.” As a teenager, my curiosity and interest in spiritual life peaked and I began studying mysticism with a shaman who would become my guru for a number of years. From Jalil I learned about Chinese herbs, Qi Gong, lucid dreaming, meditation, yoga and other healing arts. We started an herbal healing business called Herban Roots and I ran a vegan catering company known as Aya’s Ital Kitchen. When I got married and became pregnant with my son at twenty-two, my life changed dramatically and my attention shifted to motherhood. Over the next 16 years I worked as the only studio assistant to artist, Kerry James Marshall while raising my son. I finished college with a degree in Fashion from Columbia College Chicago (in 2000), got a foot in the door in costumes for film + television and had a 5-year go at being a costume designer, before debuting Haji Couture Accessories at Henri Bendel NYC in 2006. Eventually (at the age of 33) I trained to become a yoga teacher. 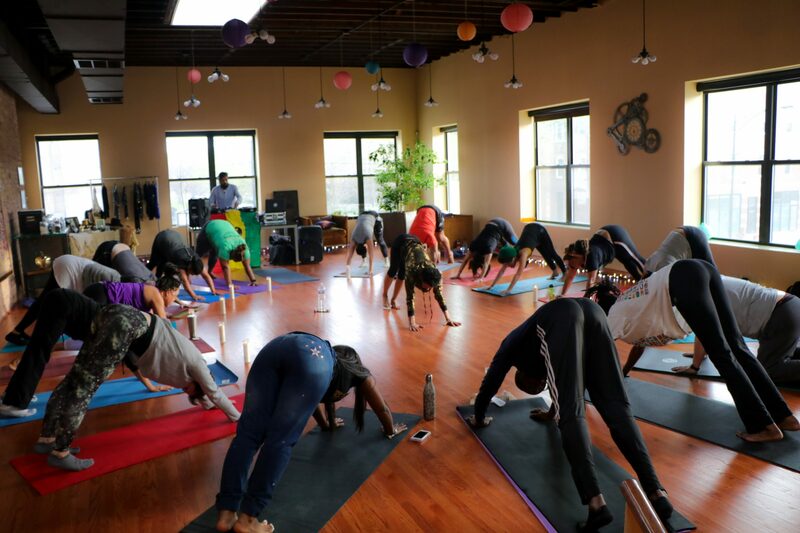 Anxiety, depression and a diagnosis of uterine fibroids, brought me to yoga. I wanted to heal my mind, heart and uterus and explore the connection between them. Yoga fascinated me. It seemed my Buddhist upbringing was the perfect preamble to yoga’s philosophy and practice. I dedicated myself to a six day per week practice and began teaching right away at local studios. In 2012 I moved to the Bay area to focus on my healing and start a new life for the first time, outside of Chicago. 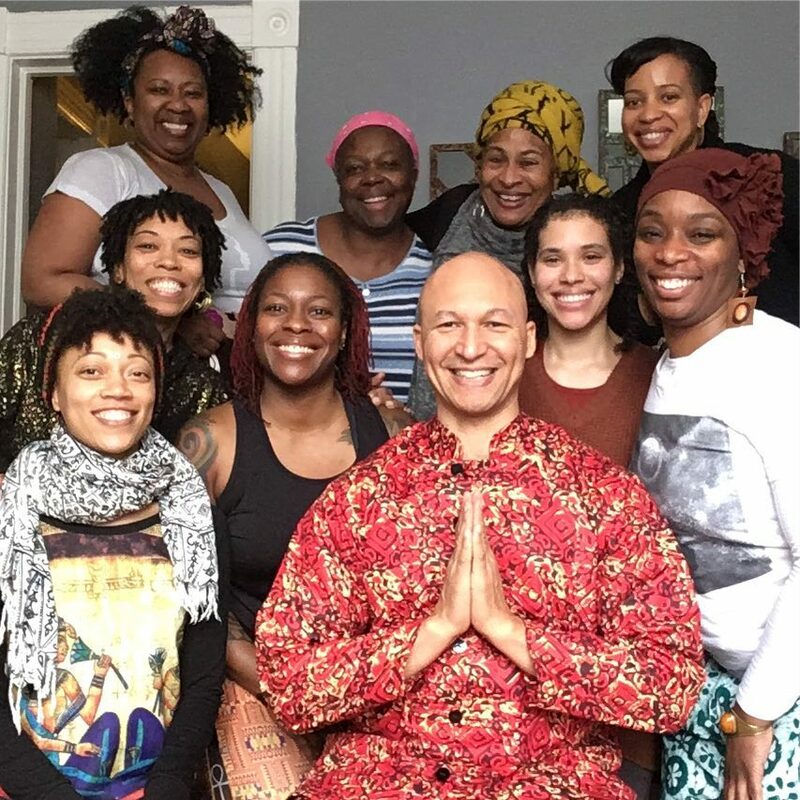 Shortly after arriving in Oakland, I experienced a healing crisis that led to a surgery to remove nine tumors from my uterus. During the difficult time leading up to surgery, I learned that community acupuncture was an effective and affordable alternative healing practice that worked to ease my anxiety (which was through the roof at this time) while lessening the severity of my symptoms. The clinic I found operated on a sliding scale and I paid $15 per treatment, going sometimes as often as 3x per week. The Oakland Acupuncture Project became my sanctuary pre and post-surgery. 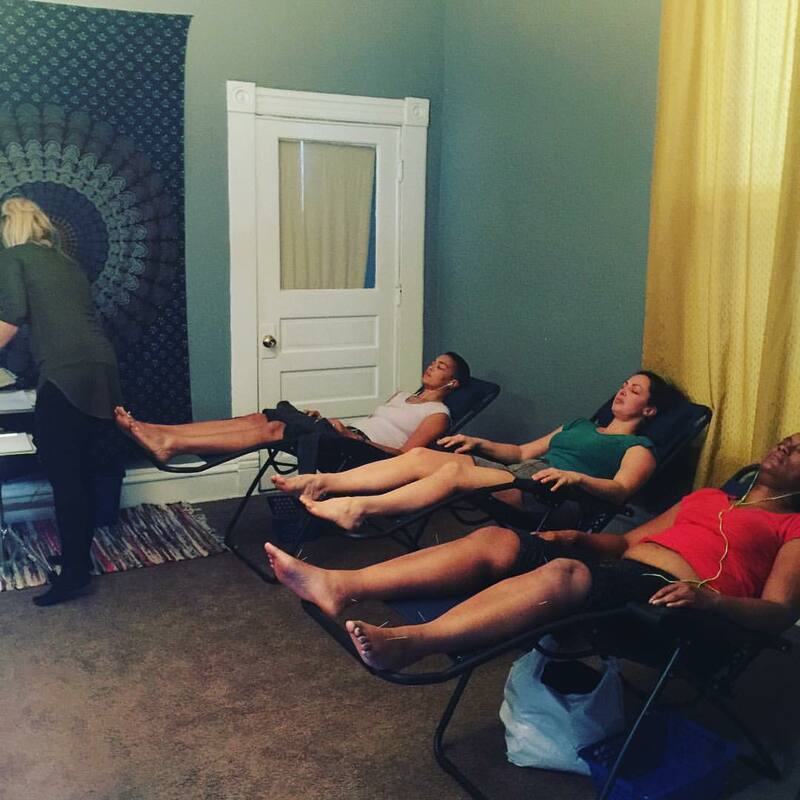 Each time I lay back in a chair for my own treatment, I dreamed of bringing this service to Chicago. Dreams of Haji Healing Salon were born from my own healing path. I wanted to provide for community -back home- the kind of sanctuary I’d experienced in Oakland. In 2015 I accepted an invitation to spend four months as a resident inside Art + Public Life’s Creative Business Incubator and returned to Chicago. During my time in the residency I created a 10-week Fibroid Support Program for 10 women and began recording women’s stories for a documentary on the condition. 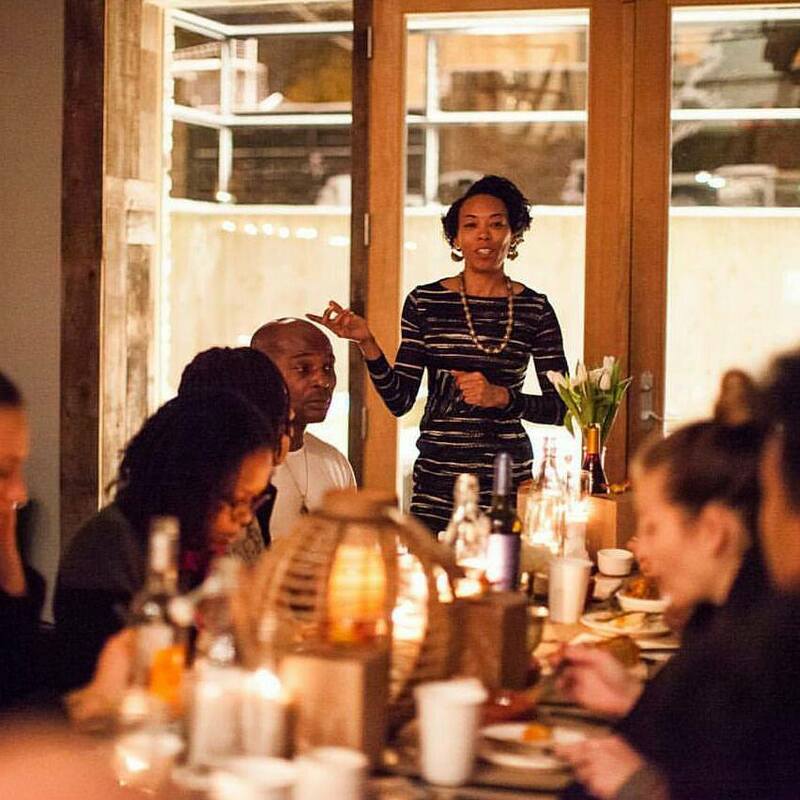 I produced 3 Haji Yoga Supper Clubs (ticketed events offering yoga set to live music and a vegan meal + conversation around a theme) and ran a pop-up wellness center for 30 days. This was the very beginning of Haji Healing Salon and the experience that helped me know this was the work I was meant to do. Fast forward three years. I’ve moved back to Chicago, where I live with my divine love. 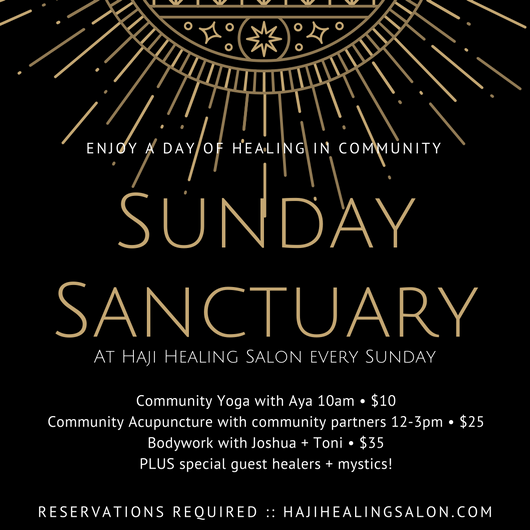 I’ve been operating Haji Healing Salon for the past year as a pop-up wellness enterprise, offering weekly yoga and acupuncture. We’ve provided acupuncture for over 200 people on the south side of Chicago, most were people who’d never tried it before. This Spring, we’re preparing to open the doors to our first commercial space in Chatham. The salon is dedicated to community style healing. We share the space to lower the cost and increase the volume of people we can care for at once. 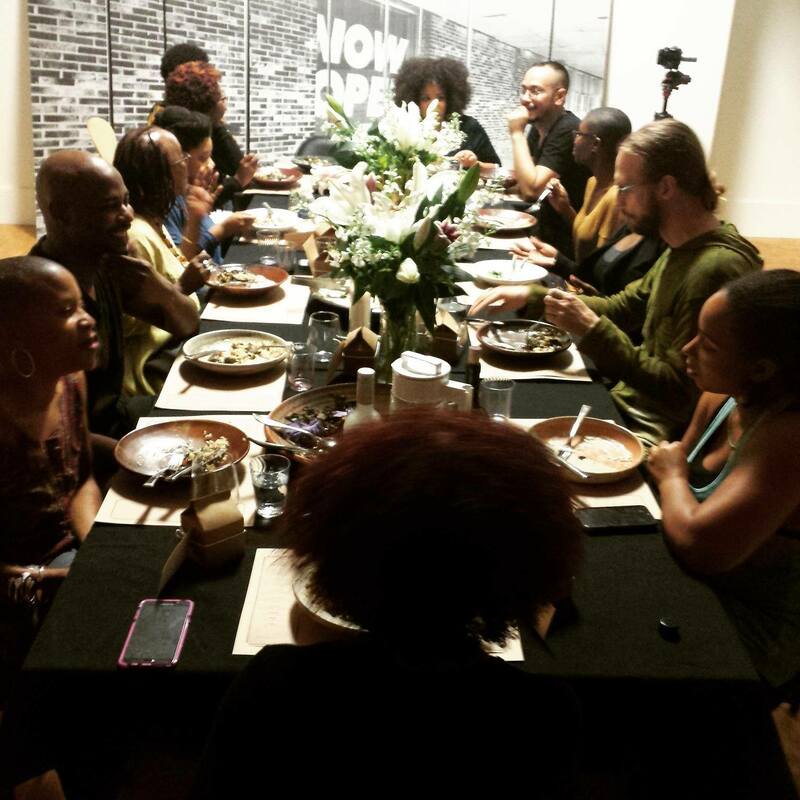 It’s a unique space, activated by engaged members of the community, who heal, learn, grow and THRIVE together. Our salon will house an herbal apothecary and offer yoga classes, community acupuncture, bodywork and healing lifestyle workshops + classes and special events at the most accessible rates. 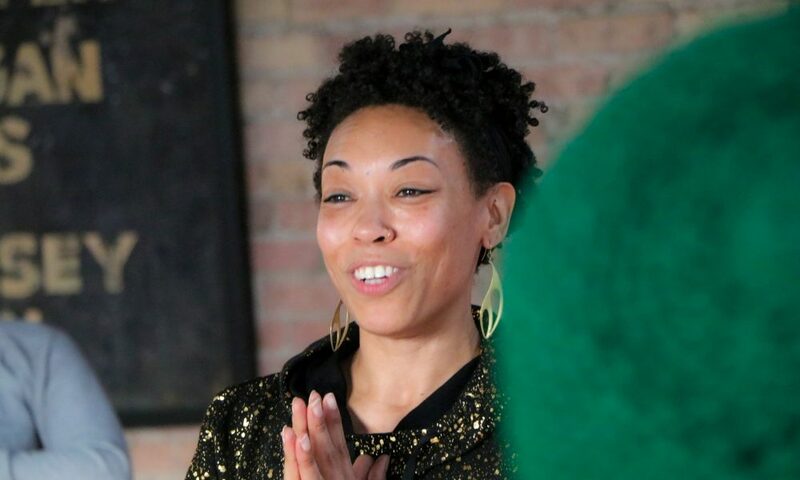 Haji Healing Salon, L3C is the only social wellness enterprise centering and prioritizing the health of POC (people of color) and south side Chicago. I have had to grow and develop as a person who is constantly stretched, in order to successfully build this enterprise. TIME often feels like a challenge. I am training myself to balance my work time with equal and even greater periods of rest. I’m learning when I am well-rested, I think more clearly and I am more effective at all that I endeavor. It’s challenging to overcome the long conditioned mindset that I should ALWAYS be hustling or working harder somehow. I am becoming adept at dissolving fears and doubts that arise. Building a business, especially one that invites the public in to receive a service, is very humbling and it requires that you QUICKLY get OK with being VULNERABLE. The biggest challenge though, is funding and making sure my pricing structures are accessible for the majority of the community, while being sustainable for the business. I’d love to find a mentor is social business who can support my growth as a powerful change maker and social entrepreneur. 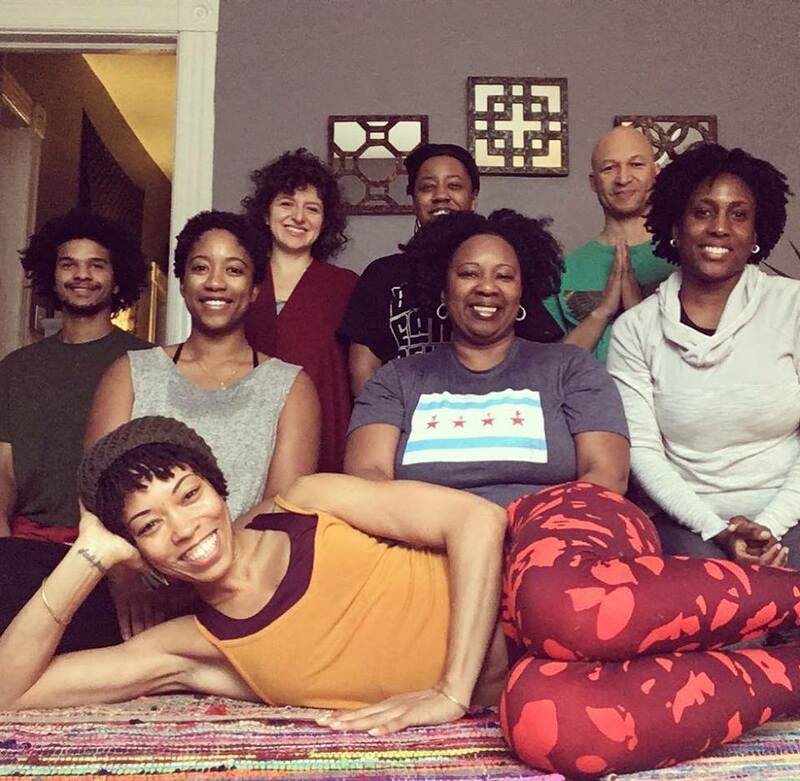 Haji Healing Salon, L3C is a social wellness enterprise that centers and prioritizes POC healing by making yoga/meditation, community acupuncture, bodywork and healing lifestyle education affordable and accessible on the south side of Chicago. We are known for our beautiful, warm and welcoming spaces as well as our unique approach to healing. Our motto is “we heal together” because we have taken down the walls and brought all of our healing services out in the open where they can be experienced in community. Imagine a large room where eight people are resting quietly in recliners with needles. While two people are receiving Thai style bodywork on mats nearby, two more community members are each receiving Reiki energy healing on massage tables. Relaxing, African Kora music kinda soothes your soul, while diffused essential oils fill the air and add to the tranquil, healing vibes. This is a typical day at Haji Healing Salon. All services are given fully clothed in our communal setting. By sharing the space, we lower the cost of the service and make it more available to more people, everybody wins. High-quality and low-cost don’t usually go together, but at Haji Healing Salon it’s our everyday goal. We invite inspired healers, teachers, mystics and therapists from the community to activate the space by sharing their healing arts with all the people who are on a healing path. Our prayer is that people are inspired to make healing a lifestyle. We believe people who have an opportunity to heal physical pain and address emotional trauma, become happier people, who contribute to a more peaceful landscape for south side Chicago. Chicagoans are becoming more health conscious. We want to feel better and have more control over our health and wellness. We are a city of smart people who work hard and we are beginning to realize the importance of self-care. These truths, coupled with the fact that city of Chicago is VERY entrepreneur friendly, make Chicago a great place for my business. There are SOOO many programs available offering free and low-cost education and support for small business. I would recommend Chicago for business and for life (if you can handle the winters). It’s a major metropolis with so much inspiration to be found in the diverse neighborhoods, communities, and institutions. Everything we need to succeed in business is here for us now.